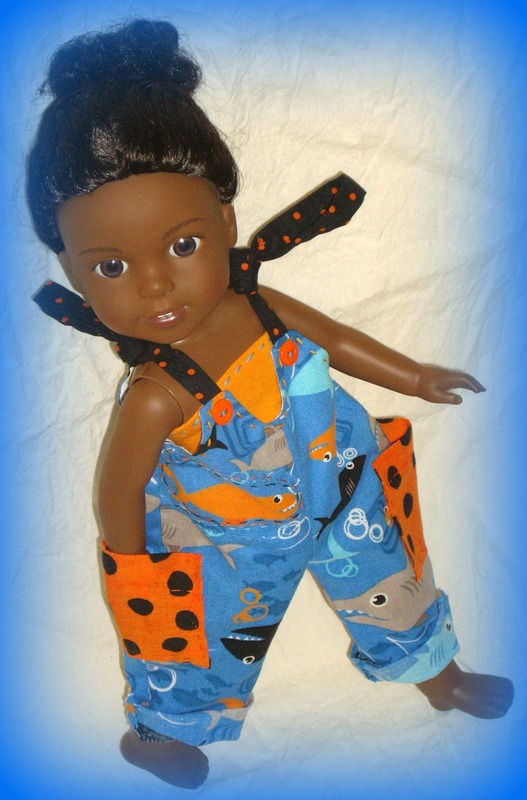 Create the perfect outfit for a hip hop dance off with friends, playtime or chore time. Pair it with a ball cap and some sneakers and you're ready to hit the streets. The pockets are just the right size to carry your pet frog around in! Have fun with mix and match fabrics. Try ribbon for the ties. If buttonholes aren't your thing, use snaps instead. Easy pattern pieces and construction make this a fun and quick sew. 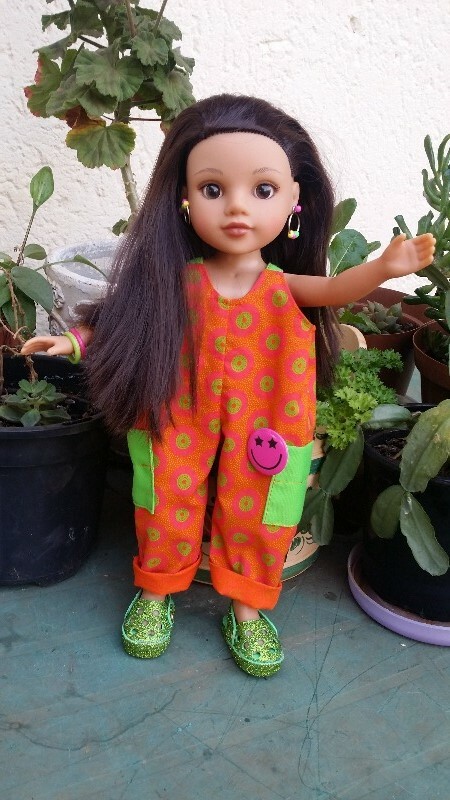 This PDF sewing pattern was designed to fit 14 - 14.5" dolls such as Hearts for Hearts Girls® and WellieWishers™. 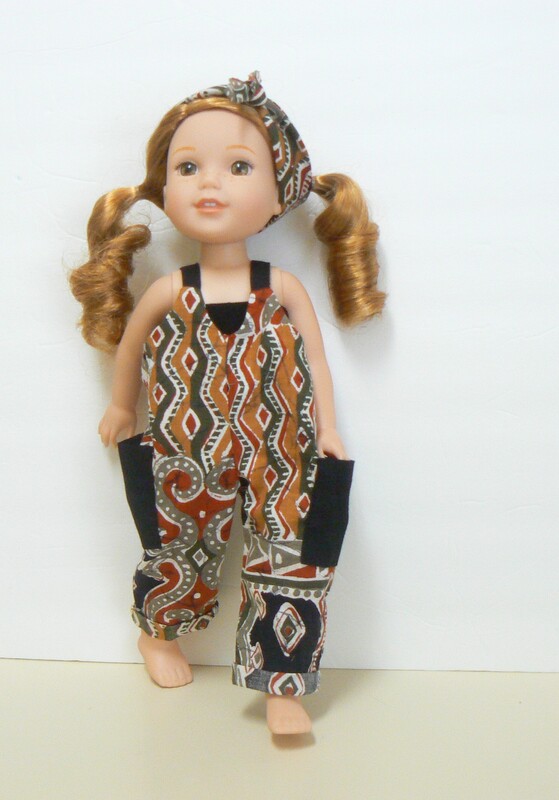 This pattern is also available on Pixie Faire to fit 18" dolls such as American Girl®. Love this easy to follow pattern. The Rompers are gorgeous & the fit is perfect. Instant download is a wonderful inclusion with no postage costs & no waiting either. Greatly recommend this seller/ inventor of this transaction. This pattern reminds me of pants my daughter use to wear when she was little. The instructions are clear and easy to understand. The contrasting pockets make great use of small scraps that are too cute to throw in the trash. 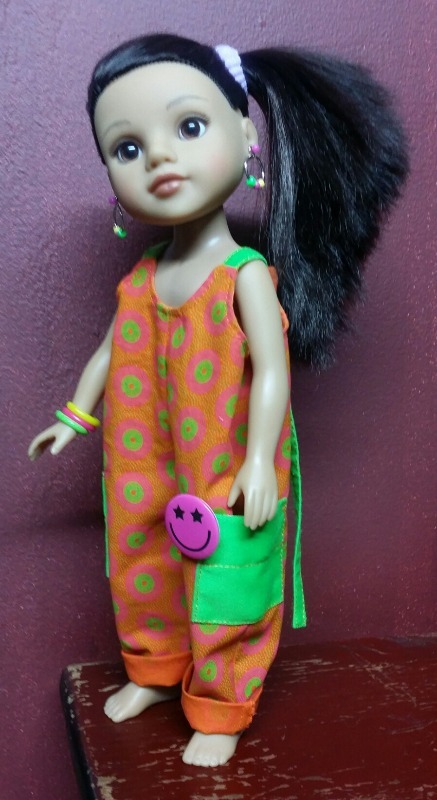 It is a fun pattern especially if you are looking for playwear rather than a dress. I thoroughly enjoyed making this pattern , from start to finish. Instructions are clear and easy to follow. Was very adorable on Wellie. 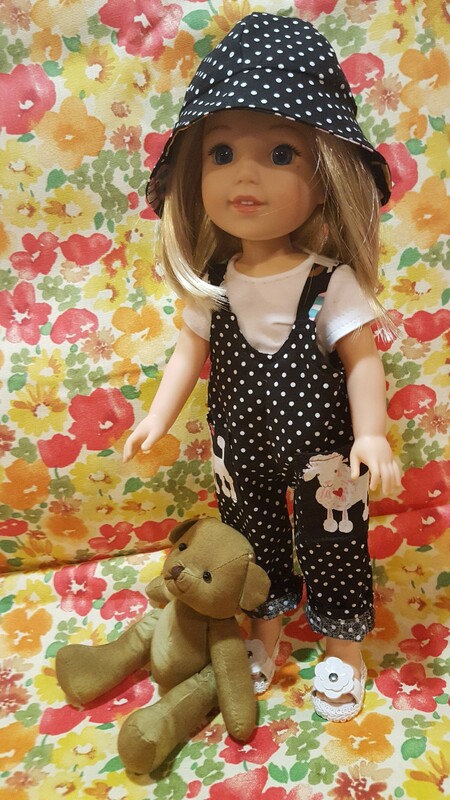 I added the Cloche Hat pattern to outfit. Enjoy making this out fit. Easy to sew.